February 20, 2017 / NationalTeamsOfIceHockey / Comments Off on Enter the Dragon – Kunlun brings playoff hockey to China! This year’s Eastern Conference playoffs will make history – for the KHL, for our newest team and for the world’s most populous nation. 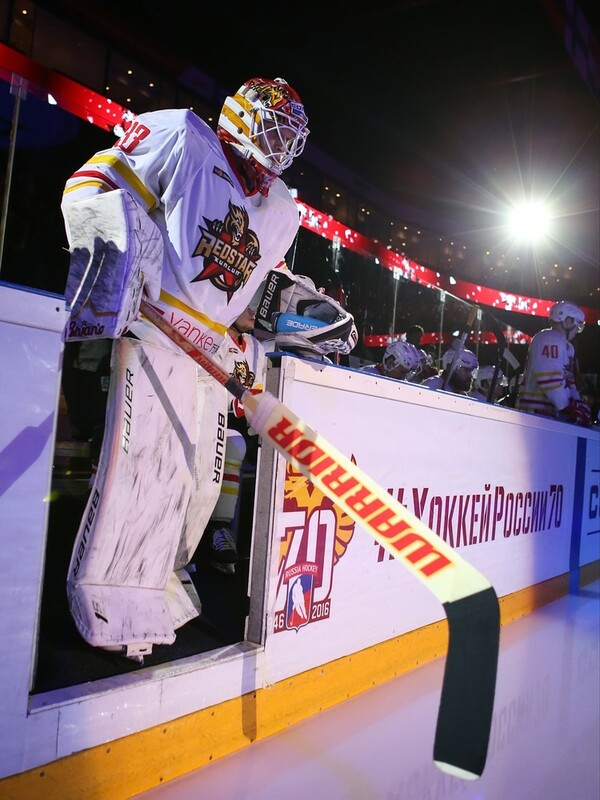 Kunlun Red Star, KHL newcomer, marked its first season in action by achieving a playoff place and will bring a piece of the big show to China for the first time ever. It’s a remarkable success for a club that, this time last year, existed as little more than a business plan. For head coach Vladimir Yurzinov, the first challenge was to assemble a competitive roster in a matter of weeks during pre-season. Then there was the difficulty of juggling a huge travel itinerary in a league where Red Star’s closest rival was Admiral Vladivostok, 1,300km distant. And, if that wasn’t enough, the team needed to build a fanbase in a country where hockey is far from the public eye: a task made even harder by the need to relocate from its Beijing base to a second arena in Shanghai for most of the fall. We ended up with a close-knit group that wants to play and win for each other. But the team delivered on all fronts. A multi-national roster brought together players from Russia, Finland, Sweden, North America, Slovakia and France, plus a seasoning of Chinese prospects. That was enough to secure eighth place in the Eastern Conference to set up a playoff series against defending champion Metallurg Magnitogorsk while steadily building up a fanbase in Beijing and beyond. For Alexei Ponikarovsky, one of the most experienced men on the roster, one of the key elements in the team’s success was the atmosphere in the locker room. Despite a team being flung together from scratch, he felt that the players quickly gelled. Ponikarovsky, who was part of SKA’s Gagarin Cup-winning team of 2015, brought bags of KHL know-how. But it was a KHL rookie, Chad Rau, who led the scoring charts for the team with 40 (20+20) points. He credits his individual success to a strong supporting cast. 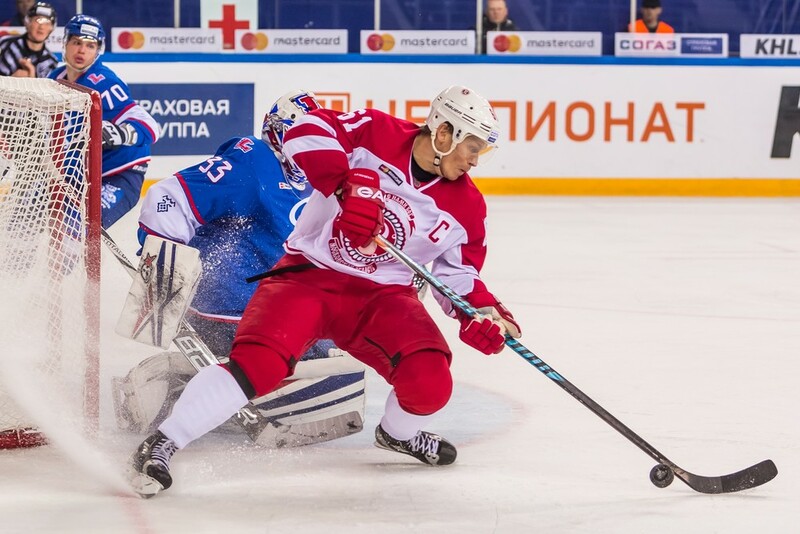 Now attention turns to post-season, and despite a daunting assignment against a powerful Metallurg team, but nobody in the club is content to merely make up the numbers in the playoffs. Goalie Tomi Karhunen, another KHL newcomer, has enjoyed confounding pre-season expectations and is eager for more of the same. Heading into next week’s series, Kunlun faces some new problems. The team finished the regular season on a three-game losing streak and might have missed out altogether had it not been for Sibir conceding a late equalizer in its final game on Saturday. To make matters worse, French forward Damien Fleury picked up a serious injury at Dynamo Moscow and will not feature again in the current campaign. Head coach Yurzinov admitted that the end of the season – and especially the disruption caused by the international break earlier this month – was far from ideal but felt that his team had played well in the circumstances. Kunlun’s debut playoff campaign begins in Magnitogorsk on Wednesday. Beijing’s first taste of playoff action follows in game three of the best-of-seven series on February 26. Iran’s ice hockey team have been disqualified from the 2017 Asian Winter Games competition here but will still be allowed to play unofficial matches. The country were scheduled to feature in the third division of the tournament, which has been spilt into two pools. But insidethegames has been told a number of Iranian players were deemed ineligible to compete in the competition by the Olympic Council of Asia (OCA). The players concerned were suspended from competing in the event, with the issue believed to have centred around those concerned having not lived in Iran for three years, despite having some heritage to the country. There were also claims some players may have represented other nations, rending them unable to compete for Iran. The win, though, has not counted towards the group standings. The OCA have confirmed Iran’s matches at the Games are still going ahead, but they will effectively be treated as friendlies, with the results not included in the official results of the Games. “On February 18, the Organising Committee of the Winter Asian Games announced that Iran’s non-participation in ice hockey men was decided,” organisers announced. “Thirteen out of 22 athletes did not meet eligibility for participation such as nationality determined by the OCA. Shahryar Sean Amini, one of Iran’s player, reacted to the disqualification on social media, claiming he found the situation “ridiculous”. “Our suspended players are not allowed to go to the locker room and either practicing with us,” he posted. insidethegames understands Kyrgyzstan avoided a similar fate, with their team having eventually provided sufficient documentation to compete. A member of Thailand’s delegation for the Games is also believed to have been declared ineligible to participate. In the ice hockey competition, Kyrgyzstan, Qatar, Bahrain, Philippines and an Independent Olympic Athletes team representing Kuwait, who remain suspended by the International Olympic Committee, are in the first pool. Malaysia, Macau, Turkmenistan, Indonesia and Iran were set to compete in the second. 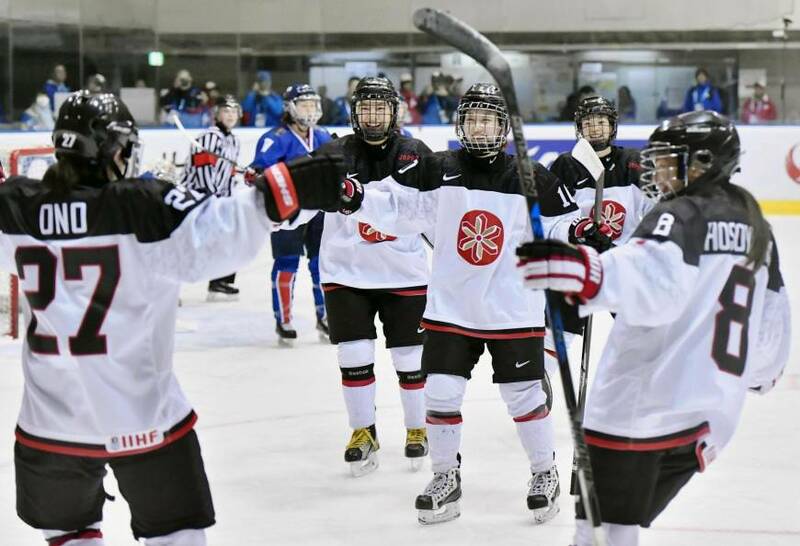 Japan outlasted South Korea 3-0 to remain unbeaten in the women’s ice hockey at the Asian Winter Games on Monday. Hanae Kubo opened the scoring for Pyeongchang-bound Smile Japan on a slip up by South Korean goalie Shin So-jung in the second minute. Naho Terashima’s short-handed goal early in the final period gave the hosts some breathing room, and Shoko Ono put the game on ice with seven minutes remaining. The win moved Japan to 2-0 in the tournament. With South Korea keeping up with Japan through two periods, the game was played at high speed, with both teams contesting each puck and exploiting their opponents’ mistakes. After facing just three shots against defending gold medalist Kazakhstan in Japan’s opener, goalie Nana Fujimoto earned her keep against the opportunistic South Koreans. The scoring started early when Shin failed to control a puck behind the net, and it rebounded to Kubo, who fired home before Shin could close the door. Although the South Koreans were never really outskated, the Japanese passing meant they had the bulk of attacking zone possession. But a bad shooting day by Japan and a string of great saves by Shin kept the game in doubt until the third period of a solid, electrifying game.